The law offices of Gana Weinstein LLP are investigating investor recovery options due to the alleged pay advance fraud scheme orchestrated by Future Income Payments, LLC (Future Income Payments) also known as Pensions, Annuities, and Settlements, LLC, and its owner Scott Kohn (Kohn). Future Income Payments has been subject to regulatory action in numerous states including at least Washington, California, Colorado, Iowa, Indiana, North Carolina, New York Massachusetts, Pennsylvania, and Virginia. In addition, on November 23, 2016 The Consumer Financial Protection Bureau (CFPB) served Future Income Payments with a Civil Investigative Demand. In response Future Income Payments requested the order to be dismissed and also filed its own lawsuit challenging the bureau’s constitutionality and demanding that the firm’s name be kept confidential. Future Income Payments lost that bid. At the heart of the alleged scheme is the misrepresentation that Future Income Payments engages in agreements that are sales of pensions and not loans. However, regulators have claimed that the company misstates the effect of the contract and that in fact pensioners are entering into a consumer loan and not a sale. The purpose of the misrepresentations are to try to exempt Future Income Payments’ loans from consumer lending laws and regulations and to collect interest on loans at illegal rates. According to regulators the “sales” misrepresentation is clear from Future Income Payments’ agreement because the consumer receives a sum of money that he is then obligated to repay. The Future Income Payments contract specifies the consumer’s future pension payments which actually constitute a repayment schedule for a loan. According to regulators, interest rates for the loan in some examples reached 130% a year. 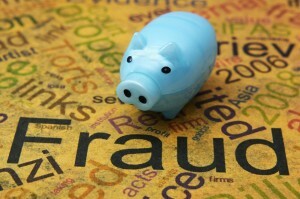 Regulators have provided examples of hundreds of retirees being subject to the alleged fraud. The New York Department of Financial Services says Future Income Payments lent out $2.3 million to pensioners with the expectation it would be repaid $8.8 million. 282 New York pensioners between March 2012 and April 2015, allegedly received amounts ranging from $2,500 to $58,500 while being charged interests rates as high as 130% a year. The NYDFS ordered Future Income Payments to reduce the debts of the pensioners to the amount originally lent and return any money already paid in excess of the original loan. The State of Virginia claimed its pensioners, often elderly veterans with military pensions and public servants with pensions through the Virginia Retirement System, were targeted for illegal loans. The Attorney General claimed that the company made more than 950 illegal loans to at least 650 pensioners in Virginia in areas with a significant veteran population.